I think every woman has a lot of shoes in their closet, right? Because woman and shoes are bestfriend! 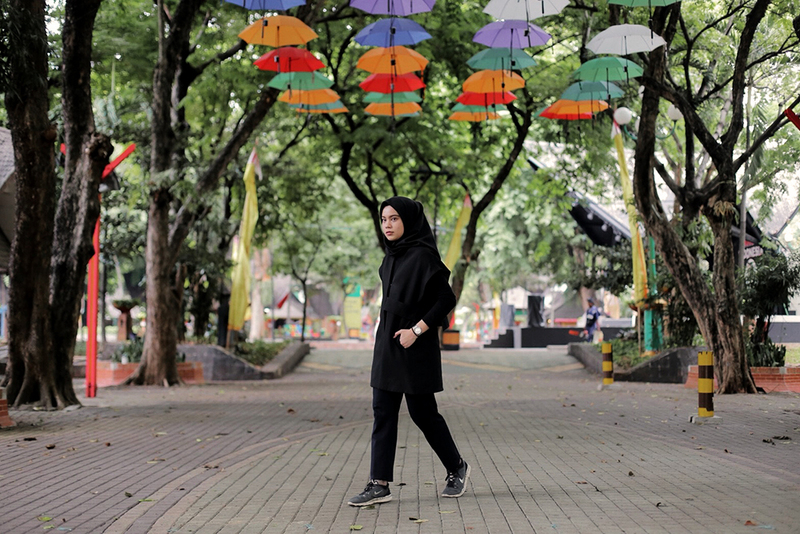 Some women only have the basic shoes which is can be worn with any outfits and some women have many kind of shoes with many colors and designs, or something like a rare one. But the shoes we have represent our personality too. Are you a simple one or classic or feminine or edgy or something else? I also have some pairs of shoes in my closet, but I always end up to wear "it" again and again. Because I only go to campus in weekdays and I prefer to wear sporty or basic shoes, like sport shoes or slip on. But sometimes I wear my midi heels too if I'm in the mood to wear them haha! But still, comfortable is my number one priority in choosing or buy shoes, so it won't be wasted and I don;t want to buy a pair of shoes which can be worn for once or twice only. 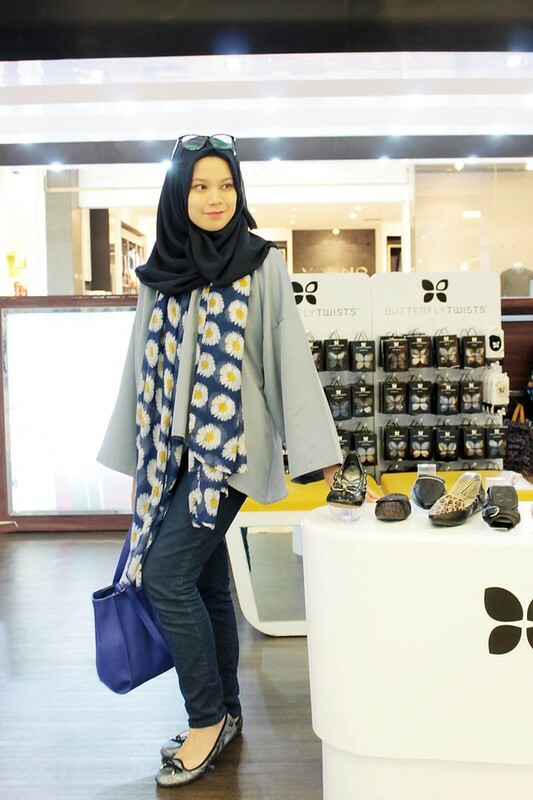 So two weeks ago, I visited the new kiosk of ButterflyTwists (shoe brand) at Mall Kota Kasablanka with one of my Clozette Ambassador mate, Sabrina from www.sabrinamaida.com. We spent an hour to choose the best one and took some cool pictures too. The store isn't that big, but they have a lot of good looking shoes and I love the store concept because they're coming in black and white! So far, I have a good experience when visiting the store. The people also helped us a lot. Me and Sabrina chose the pair from S/S 2016 collection. There are many choices that made me confused at the moment, but finally my heart fell for this pair. Why did I choose them? I'm in love with the grey/silver color, the unique texture, and it fits my feet perfectly! At first I doubt if they have it in my size or not, but thank God, my shoe size is on their list which is 41 haha lucky me! I spent around 30 minutes to chose the best one which is represent my personality and my style. If you ask about the comfort? It's no doubt! They have good materials, good quality, and comfort is their priority in making shoes. They also made these shoes in a fold-able way, beside they will fit on your feet perfectly, the shoes also won't spend much space in your bag if you want to keep and carry them along. Very flexible, comfort, and light! Three things that ButterflyTwists shoes have. Visit their store now and find the perfect one for you and don't forget to bring them home! And this is my OOTD for today's date, wearing my favorite color just like my ButterflyTwists shoes, grey and black! Every woman needs a pair of gorgeous, perfectly fitting ballet shoes to allow her to keep up with her busy day: whether she's running to meetings, visiting new clients or going to the latest gallery opening. It foldable ballerinas, so let her move effortlessly at the peace she wants. 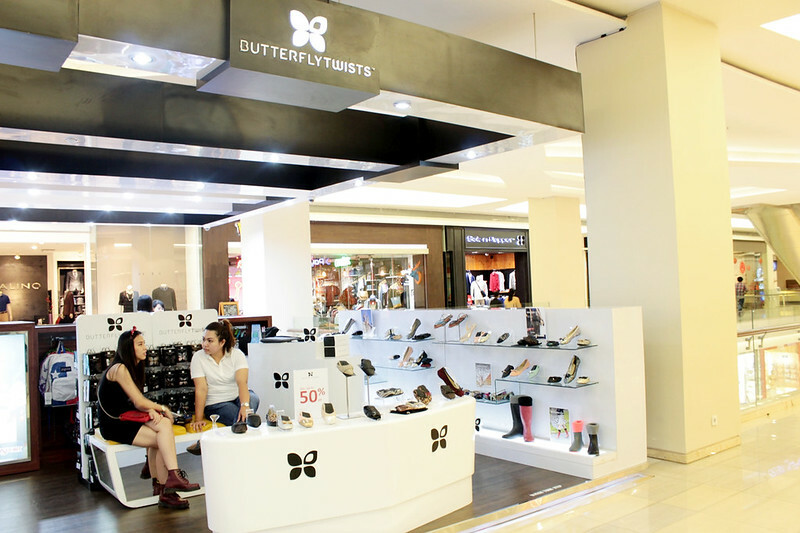 ButterflyTwists is an international brand from UK, London. Is sold in over 50 countries including inflight and is continuously expending. ButterflyTwists being lightweight and easy to carry, they afford the opportunity to change into them, whenever she needs to, particularly helpful when high heels and tired feet are involved. ButterflyTwists are an essential travel companion for every woman everyday. Whether on their feet or in their bag. They allow them to look the part. Follow butterflytwists_indonesia on Instagram for more updates!